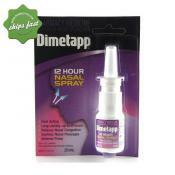 Dimetapp 12 Hour Nasal Spray provides fast acting relief for up to 12 hours. 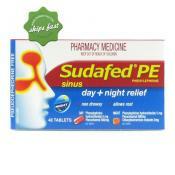 It is non-drowsy and relieves: nasal congestion due to colds, sinusitis, hay fever, other respiratory allergies. 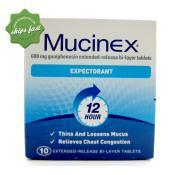 Help to fight your worst chest congestion and cough with Mucinex DM Maximum Strength 1200mg. Its maximum strength and extended release bi-layer formulation may help to provide 12 hours of relief and assist in controlling symptoms all day and night. 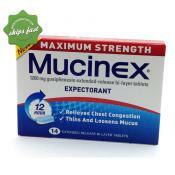 Combines a decongestant with an anticholinergic agent to provide fast and effective relief from blocked and runny nose associated with the common cold and hayfever allergy. 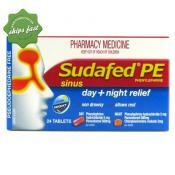 Sudafed PE Phenylephrine Nasal Decongestant provides relief when you have a blocked nose and sinus congestion associated with cold, flu, sinusitis, allergies and hay fever. Stuffed up with a blocked nose? 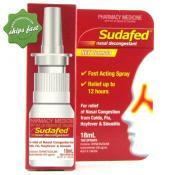 Sudafed Nasal Decongestant Nasal Spray Relieves nasal congestion from colds, flu, sinusitis, and hay fever. 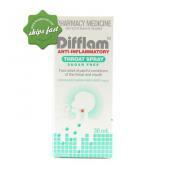 Difflam Forte Anti inflammatory Throat Spray for Fast relief of painful throat and mouth conditions including sore throat, tonsillitis, mouth ulcers, pain post mouth, throat surgery or periodontal procedures, redness, swelling and inflammatory conditions, radiation mucositis. 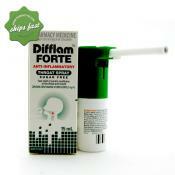 Fess Nasal Spray is a non-medicated saline solution that helps keep nasal passages moist. 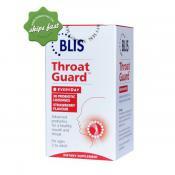 It relieves mild to moderate nasal congestion associated with cold, flu, hay fever, sinusitis and rhinitis. It also cleans and washes away dust, pollen and other allergens that can cause hay fever. 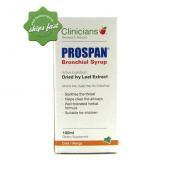 Soothe your throat and help clear your airways by taking Clinicians Prospan Bronchial Syrup. It's powerful herbal formula is made from dried ivy leaf to help thin the mucus and moisten dry irritated membranes of the airways. 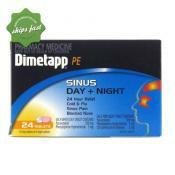 To get full coverage relief both for daytime and night time, take Dimetapp PE sinus Day Night Tablet. Day tablet is a non-drowse formula to give instant relief from symptoms of sinus congestion, painful blocked nose; while the night tablet is formulated with added antihistamine to get relief from itchy watery eyes and sneezing for a good night's sleep. 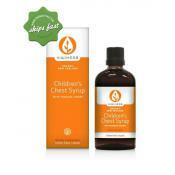 An infant and children's formula, delicious in taste and infused with Manuka Honey, known to support immune response. 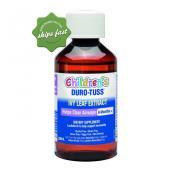 A non-drowsy liquid with increased antioxidant activity to support your child's immune system and ivy leaf extract to help to clear and moisten the airways. 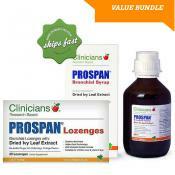 Get on top of an irritated throat and cough naturally with this great deal on Clinicians Prospan Bronchial Syrup 200ml and Clinicians Prospan 20 Lozenges. 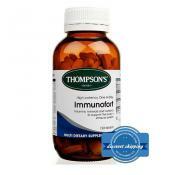 Thompsons Junior Immunofort is a blend of vitamins, minerals and nutrients specially formulated for children 2 to 10 years old to help promote a healthy immune system. 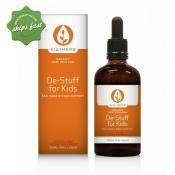 For natural relief from colds and allergies, you may try using Kiwiherb De Stuff for Kids. 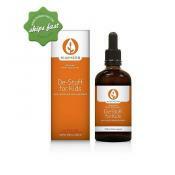 It is specially formulated using only certified organic herbs of Elderflower and Ribwort, which may help to soothe and clear your nose, ears and sinuses associated with colds and allergies. 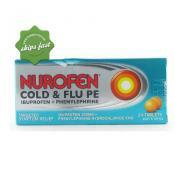 Buy Nurofen Cold and Flu Tablets PE with Phenylphrine provide fast effective temporary relief from the major symptoms of cold and flu. An all-in-one supplement that uniquely combines Chinese and Western herbs, vitamins, minerals, antioxidants and special nutrients to help assist the immune system. 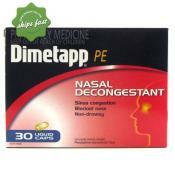 Dimetapp PE Nasal Decongestant is a convenient alternative from solid capsules. 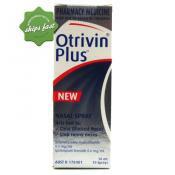 It contains a liquid formulation and is encapsulated for fast acting results. 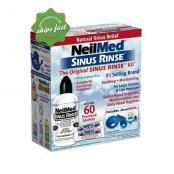 Relieve sinus and nasal decongestion. 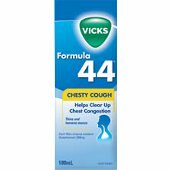 Get help to clear up your chest congestion by taking Vicks Formula 44 Chesty Cough. 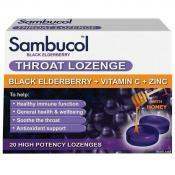 It is a non-drowsy formulation that may help to soothe a sore throat. 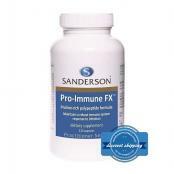 Sanderson Pro Immune FX is a proline rich polypeptide supplement to help keep you and your loved ones protected against disease causing agents and infections. There are three main causes of the common cold, and these are all in the form of viruses. When a person gets exposed to any of these three common cold viruses and the immune system is not at its best, the body can catch the bug. When a person catches any type of cold virus, symptoms will not occur until after 1 to 4 days. Symptoms usually start with a burning feeling in the nose or throat, then sneezing and a runny nose. 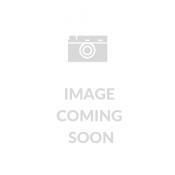 Tiredness and a general feeling of malaise are usually present. During the first few days, nasal secretions can be prolific and quite watery, and they can then become thicker and darker. A cold can also be accompanied by a mild cough. While symptoms usually do not get any worse, they can last up to 2 weeks. Darkening of the mucous does not necessary translate to a bacterial infection, however, if this is accompanied with coughing up of dark mucous and feeling a lot of distress in the lung areas, it may signal a bacterial infection. Common colds are not accompanied with fever; in fact, if fever is present along with more severe symptoms, it can indicate flu. You notice an inability to swallow. You have a sore throat for more than 2 or 3 days, particularly if it seems to be worsening. You have a stiff neck or sensitivity to bright lights. 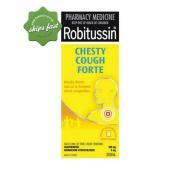 Your newborn or infant has cold symptoms. Your throat hurts and your temperature is 38øC or higher. Drink plenty of fluids - drinking plenty of water and other forms of fluids can help break up congestion, keep the throat moist and rehydrate the body. Drink 8 - 10 glasses of mixed forms of fluids. This may include water, sports drink, herbal teas, fruit drink and ginger ale. Steam inhalation - this will help loosen up a stuffy nose. Do this by boiling water in a pot and put your head over it, then breathe in the steam slowly. Be careful not to let the heat burn your nose. It may also help to put a humidifier inside your room or take some moisture from a hot shower with the door closed. Clear up your nose - by blowing out the mucous it will help clear up your sinus congestion. However, make sure to do it the right way. 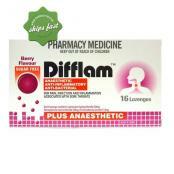 Do not blow hard as this will send germ-carrying phlegm back to your ear passages, which can then lead to earache. The best way to blow your nose is to press a finger over one nostril while blowing your nose gently. 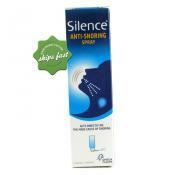 Saline spray or salt water rinse - using these is a great way to help break up the congestion in your nose. You can either buy the commercially prepared saline spray or you can make your own. Get plenty of rest and stay warm - rest and warmth can help your body direct its energy to fighting off the illness. This is especially true when you notice the first signs of a cold. Gargle with a warm salt water solution - aside from drinking plenty of liquids, gargling with a solution made with half a teaspoon of salt dissolved in a cup of warm water will help soothe your sore or scratchy throat. Do this four times a day to keep your throat and mouth moist. To help calm a ticklish throat, you can use herbal tea instead of water in the solution, or add honey. Drink hot liquids - this will help relieve congestion and soothe the inflamed nose and throat linings. Using mentholated salve - helps open up breathing passages. Simply dab a small amount under your nose. Choose preparations that contain menthol, eucalyptus, and camphor since these all have mild numbing ingredients that will help relieve nose pain. Put an extra pillow under your head - do this especially at night when you sleep. This will help drain congested nasal passages to help you sleep better. 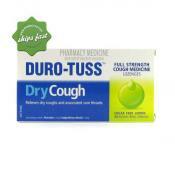 Decongestants, pain relievers and antihistamines are used to help relieve symptoms of coughs and colds. These can come in the form of oral medicine, nasal and throat sprays, and rubs and salves. Most cold causing viruses are airborne. When a person is exposed to someone who sneezes or coughs, they can get the virus and develop the cold. Rhinovirus can be spread by touching contaminated surfaces. A person gets the virus by touching contaminated surfaces and then touching their eyes or nose where mucous is present. The virus then travels inside the body where it multiplies and cause symptoms. The best way to help slow the spread of the virus is by frequent hand washing. It is also best to boost your immune system so that even if you encounter people who have colds, your body has the best support to help prevent you picking up the virus.